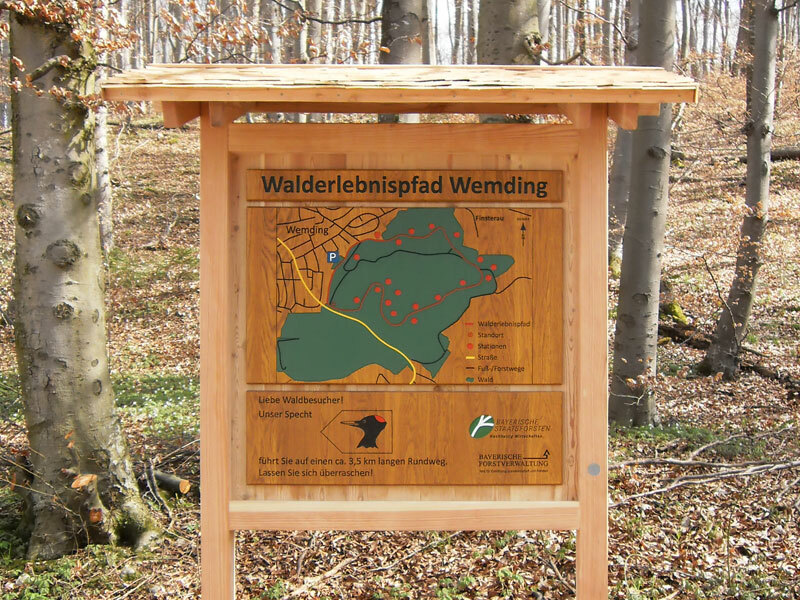 Lying on the edge of the giant crater Rieskrater, the 3.5km long Learning Path in Wemding allows the visitors to get a little closer to the history of the earth. 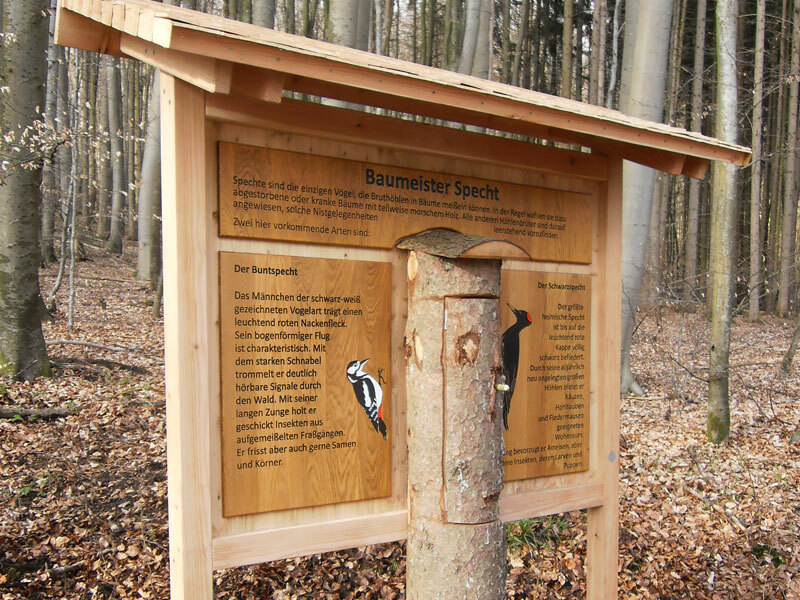 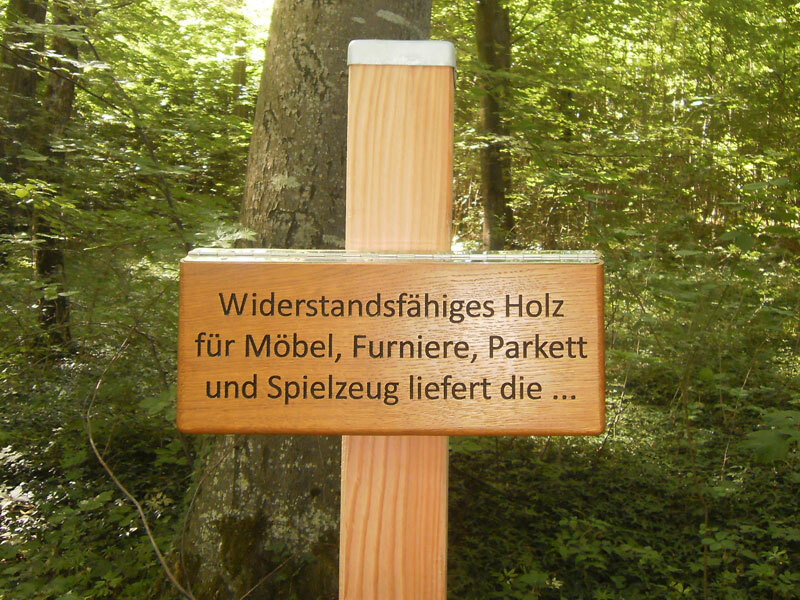 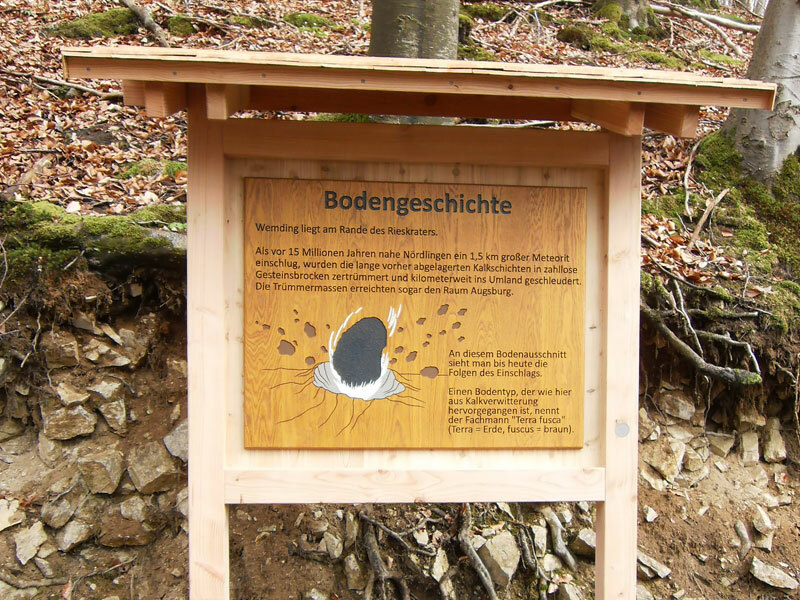 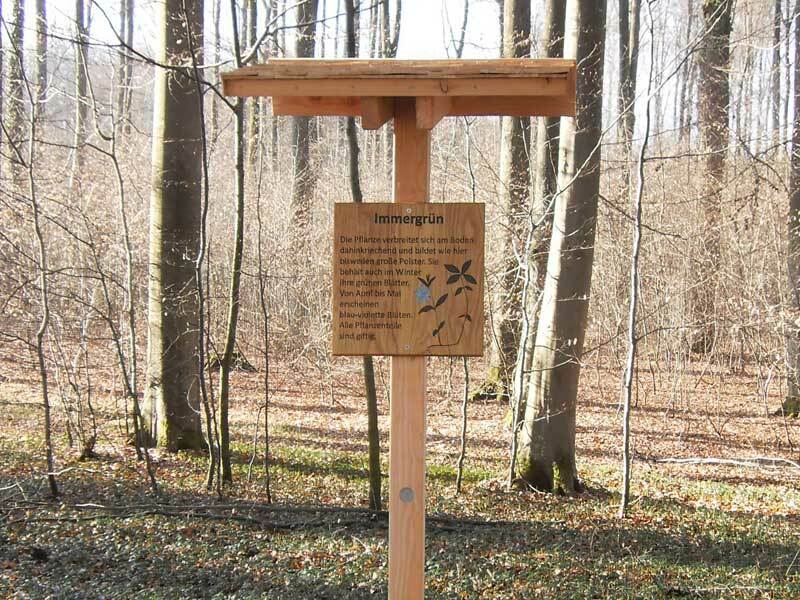 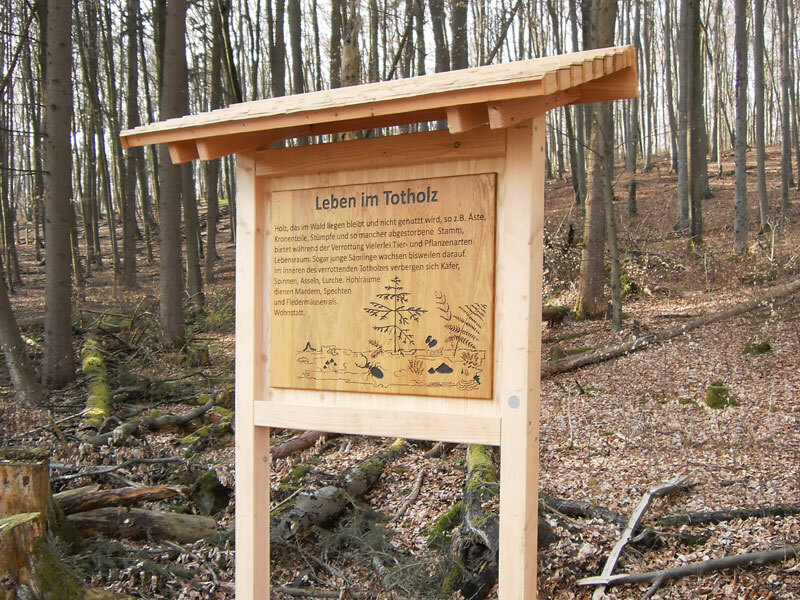 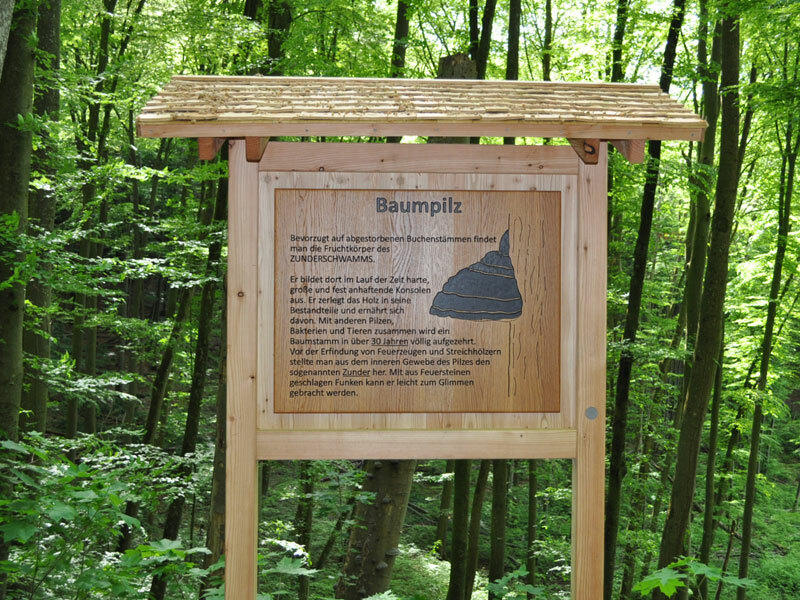 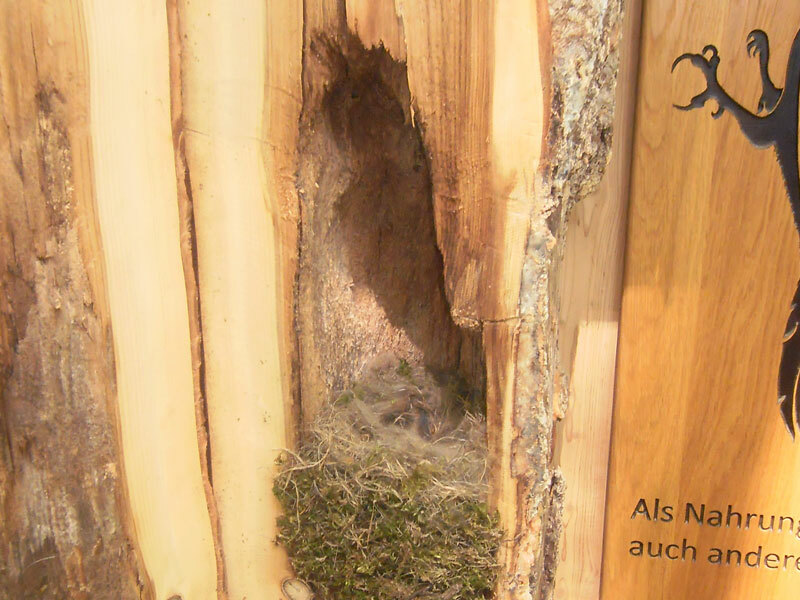 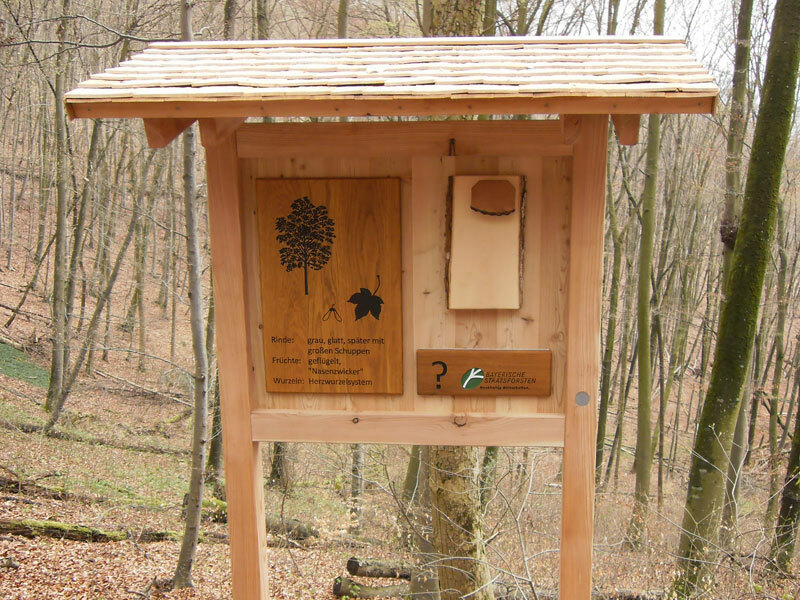 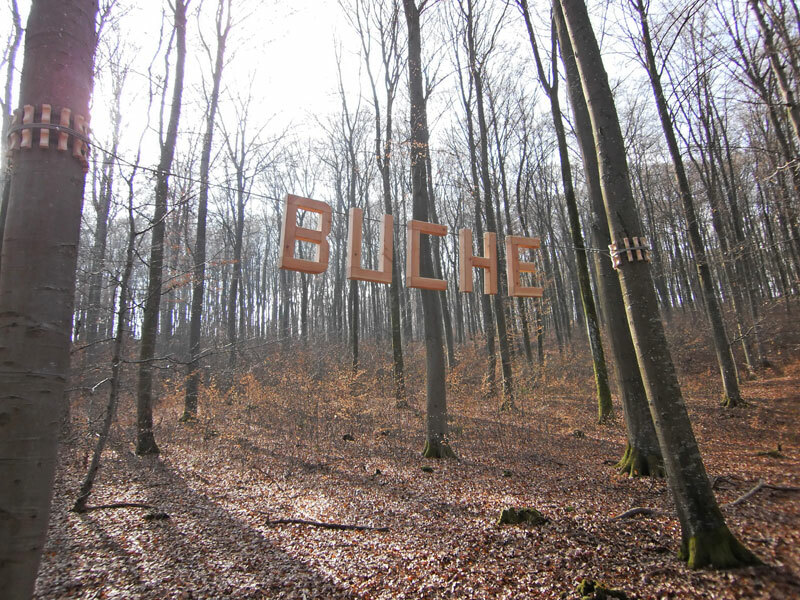 The station ‘Bodengeschichte’ provides information about the results of the meteorite impact of 15 million years ago, while those who continue further get exciting insights into the forests ecosystems and the life of its inhabitants. 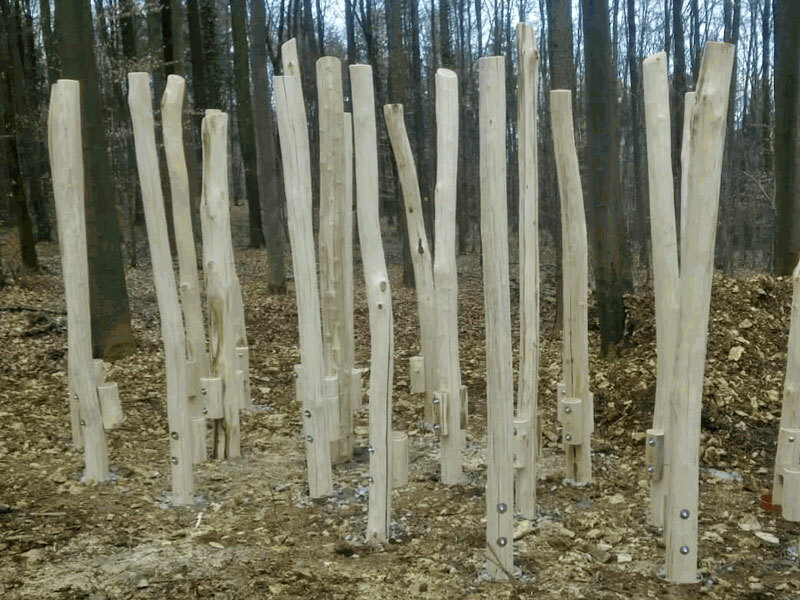 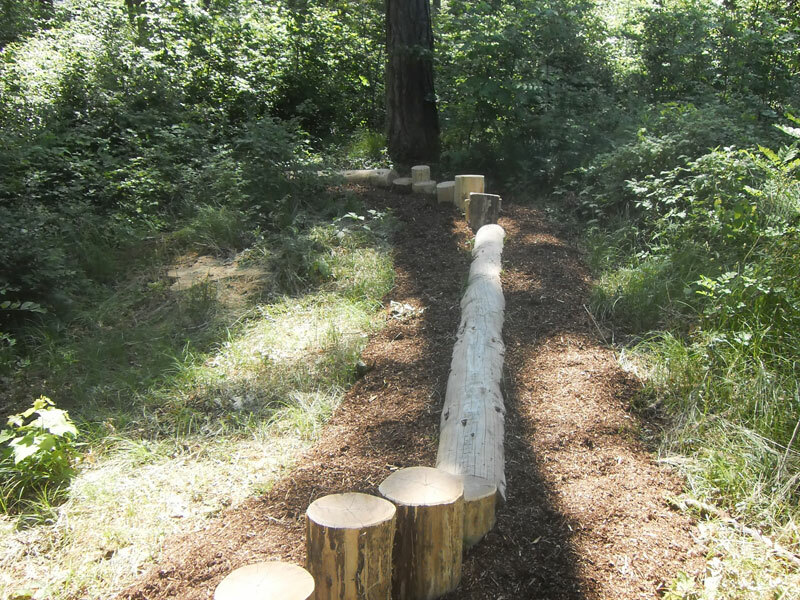 A forest-playground with children’s flying fox and acacia stilts-path add variety.